Last Monday, Mrs. Collins and I had the privilege of joining our 8th graders on their field trip to Hulbert Outdoor Center on Lake Morey in Fairlee, VT. Students were divided into two groups and spent the morning participating in cooperative games and working through dynamic group challenges presented to them by their facilitators. It was quite special to see students in action outside of the classroom, working together toward a common goal. Even if certain strategies were not immediately successful, the students’ attitudes, honest conversations with each other, and enthusiasm allowed them to learn from the experience and approach challenges in another way. Witnessing their process was illuminating and exciting. After lunch, 8th graders had the opportunity to experience the much-anticipated high ropes course. 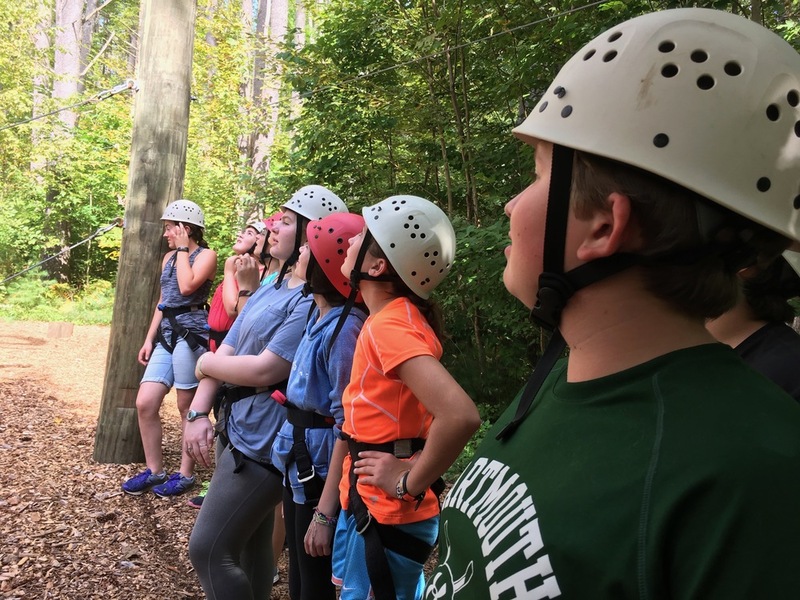 Students climbed up and across giant ladders, jumped off a 50-foot pole, flew through the air on a zipline, among other exhilarating and challenging opportunities. All students made an effort to get outside of their comfort zones. Some 8th graders shared that they had climbed higher and stretched themselves farther than they ever could have imagined. It was such an important reminder that we are capable of incredible things especially with the support of our peers cheering us on from down below.